Are misfiring nail guns ruining your temperament at work? Is your nail gun getting jammed after every 5 nails it pins? Is your hand begging for rest at the end of the day due to tremendous recoil? The solution is Milwaukee tools. Having years of experience in world class manufacture of power tools, Milwaukee Tools make the most user friendly nail guns. The standard design & carefully structured prices that suit every class of customers are the main plus points for the company's vast reputation & invasion in the power tool manufacturing sector. 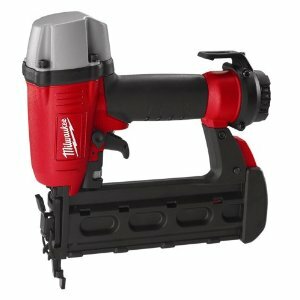 Milwaukee makes corded as well as cordless nail guns. Most models have a sequential & bump firing options. 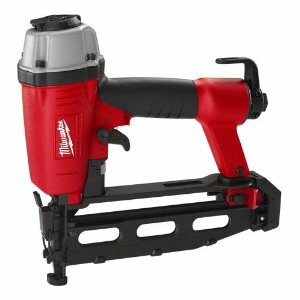 Milwaukee tools have nail guns over a well dispersed price range. All of Milwaukee's nail guns fall into the 7 1 series. The higher end models are especially light weight & "slip free" ensuring proper grip & support. It just goes on & on & on firing without a single misfire leaving you breathless with its amazingly true consistency. The shots are incredibly smooth & the 'plop' sound that usually occurs each time a nail is pinned is almost non-existent in this seemingly magical tool. 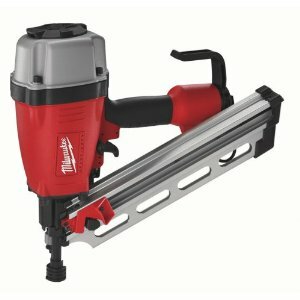 Milwaukee tool nail guns can be loaded from the rear which is much simpler compared to the magazine being filled from the top. The nail gun has immeasurable accuracy of depth measurement, used to even pin light ply without splintering it. Also the common features like toughness, reliability don't have really much to contribute. In spite of all these goodies, Milwaukee nail guns have to offer it's body has a large percentage of plastic. This no doubt questions its toughness & durability. In some models which might have an indicator, the nail gun stops the firing process when it comes down to a spare of 5 nails which is actually a little too much to fit in a new coil which is then gradually supposed to continue as the old one is emptied. And yes, they do not come with a storage case. Of course the rafter hook cannot be called a compensation for that. It's better not to buy Milwaukee tools manufactured nails as the coil is incomplete at frequent intervals & sometimes they are bent (especially don't trust the double molten zinc coated thing). Some of the lower end models do jam, though not frequently. 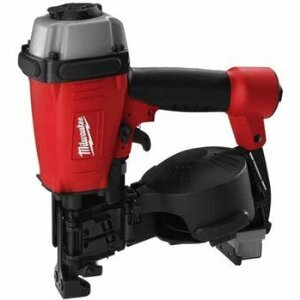 Some models of Milwaukee tools nail guns are stopped being manufactured which means that the people who have those models do not get any spares or the corresponding nails for the tool. The air exhaust is adjustable only in certain models. Occasional blockage of the nail in the nose is also noted. The air nose fails to drag the following nail forward when the first one is pinned. Also there are 2 copper coils in the nail gun nose, both of which have to separate out for the straight & proper delivery of the nail which doesn't happen some times for reasons unknown. Return From Milwaukee Nail Guns Page to Home - Finishcarpentryhelp.com.